The Red Sox were not going to play .720 baseball all season long. For the first time in the 2013 season, the Red Sox have hit on hard times. The injury bug has stung the back-end of the bullpen. They have not been able to hit with runners in scoring position. These have been the two main factors in the Red Sox going an abysmal 4-9 since the last time I wrote on this very site. Joel Hanrahan is done for the season after experiencing tightness in his forearm. He will undergo season ending surgery at some point in the near future. Andrew Bailey has also been out with arm trouble. An anticipated strength coming into the 2013 season is now a massive question mark. John Farrell has named Junichi Tazawa as interim closer, until Bailey comes off the disabled list. The only other candidate was Koji Uehara. 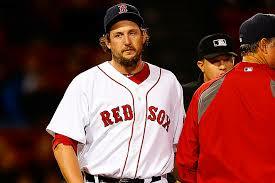 Having Hanrahan down for the count and Bailey on and off the disabled list is frustrating for Red Sox fans. The Red Sox traded Josh Reddick for Andrew Bailey last offseason. That trade has been one-sided to say the least. Reddick launched 32 home runs last season and shockingly won a Gold Glove last season. Yes, he is off to a slow start this season. By comparison, Andrew Bailey has appeared in just 32 games for the Sox. Joel Hanrahan was traded to the Red Sox this past off-season with Brock Holt for Mark Melancon, Jerry Sands, Ivan DeJesus, and Stolmy Pimental. All I need to tell you about this trade? At the time of this writing, Mark Melancon has a 0.47 ERA and a 0.68 WHIP in 19 innings. Hanrahan likely ends his Red Sox career with an 0-1 record and a 9.82 ERA in 7.1 innings. My outside the box cure for the Red Sox closing woes? Move Ryan Dempster to closer. Bring up Alan Webster and put him in the rotation. Dempster has had success as a closer before. He also features two pitches you want your closer to have; a slider and a split finger fastball. This keeps Uehara and Tazawa in their 7th and 8th inning roles, allows Webster on to the major league roster, and is insurance for the man made of glass, Andrew Bailey. I blame the lack of offense of late right at the top. Jacoby Ellsbury’s on base percentage is .311. I am not looking for Ellsbury to repeat his 2010 video game numbers. I am not asking Ellsbury to hit over .300, steal 70 bases, or even hit 10 home runs. I am just asking him to get on base. What good is a dynamic player like Ellsbury if he can’t get on base? Too often this season Ellsbury has led off the game either swinging early in the count and popping up to the shortstop or second baseman; or swinging at a bad pitch with a 3 ball count. It’s truly maddening. Ellsbury needs to do a better job of getting on base. The Red Sox have an exciting lineup that has been dull due to Ellsbury incompetence at the plate. They will go as he goes. Right now, he is going nowhere. On a side note, Stephen Drew is hitting .228. In my last post I guaranteed he would be at .230 the next time I sat at this laptop. Way to do me proud, Mr. Drew. The bold prediction this time around? Dustin Pedroia currently has 1 home run on the season. He will hit 5 more between now and June 3. 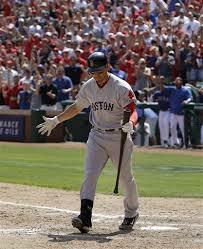 The Red Sox now play 20 days in a row against sub par teams. (Tampa Bay, Minnesota, Chicago, Cleveland, Philadelphia, and New York.) I believe this stretch will be a true test to see what we have going into the summer. I am hoping to see a resilient team that can shake off this bad stretch and get back in the win column. I really believed they were the antithesis of last season’s disaster. These next 20 days will show an awful lot about the 2013 Red Sox.